Apex Legends was one of the first breakthrough battle royale games since Fortnite when it launched back on February 4th. However, it seems after only a month and a half, the game’s initial content is starting to wear thin with some of its supporters and fans. 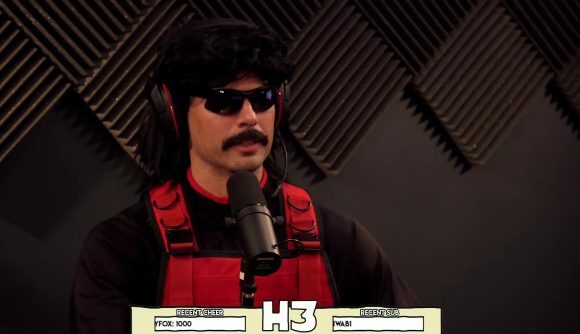 Regardless, Dr Disrespect has continued to promote Apex Legends on his Twitter and Twitch channel, so it appears the streamer hasn’t given up on the game just yet. Though Apex Legends receives its first Battle Pass today, a chunk of fans are unsure whether the first pass looks good enough to spark new interest in many players. Some feel underwhelmed by the lack of new content the pass contains, and a small chunk of players seem to be growing restless with the game’s progression. Respawn has since taken to its blog on EA to share reassurance that there are plans to continue to populate the game with dynamic and interesting content in later Battle Passes. You can check out Dr. Disrespect’s comments in the Twitch clip embedded above, via Dexerto. Read more: Apex Legends character guide. Apex Legends Season One Battle Pass goes live tonight at 5pm, and is available to purchase in game for 1000 Apex coins.